Laserfiche Quick Fields lets you capture documents, identify them, extract information from them, and automatically store them in a repository. 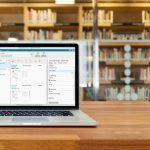 If a document is sent from Quick Fields to a Laserfiche repository, and it encounters an existing document with the same name, Quick Fields can either create a new document in Laserfiche, or merge the two documents together. When merging, you can customize how you want the components of each document merged. For example, you can determine which pages from the document processed in Quick Fields will be stored in Laserfiche and how they will be stored in relation to the previously existing pages (appended, prepended, replaced). You can also specify if you want to merge document text and/or images, templates, and fields. Example of merging documents: The city of Fairview has records stored in Laserfiche that need to be cleaned up with Quick Fields’ image enhancements. They want Quick Fields to scan the records from the repository, clean them up, and store them back to their original location in the repository. Because these are important records, they are required to keep the originals and any changes thereafter. In this case, Quick Fields can create a new Laserfiche version of the image-enhanced record and merge it with the original record. Example of merging documents: Bear University needs their interns to scan applications as quickly as possible into Laserfiche. 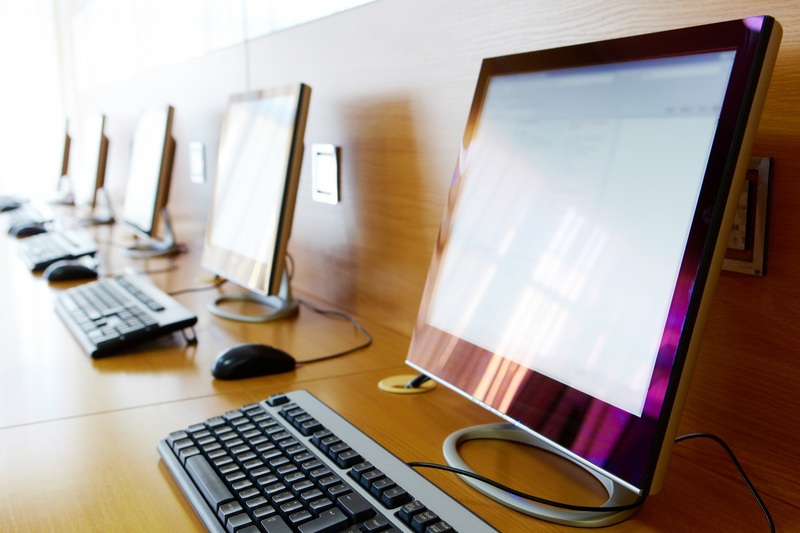 Because the interns don’t have time to enter metadata for each application, Quick Fields retrieves the applications from Laserfiche, adds metadata to them, and stores them back to their original location. This process merges the original applications with ones that have searchable metadata. Example of creating a new document: ABC Loans has scanner operators who place batches of loan agreements into a scanner, press scan, and store them into Laserfiche. They do not separate the different types of loan agreements (home loan, auto loan, etc.) prior to scanning, as they want to use the scanner’s maximum speed and efficiency. Each batch scanned results in multiple loan types stored as one big document in Laserfiche. 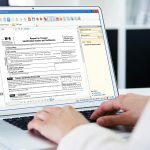 They use Quick Fields to retrieve these big documents from Laserfiche, separate them into individual loan agreements, add metadata to them, and store them back to Laserfiche as new documents. 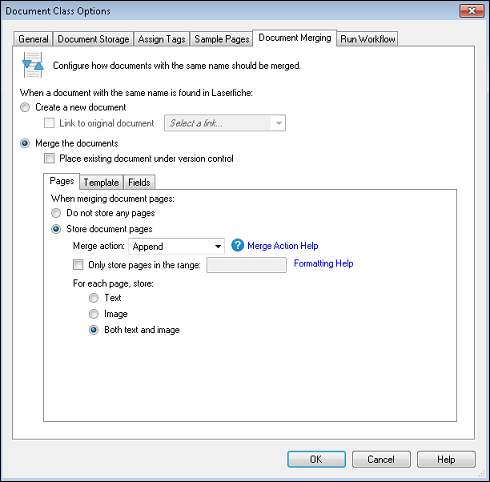 The document merging option is configured per document class in the Document Options dialog box under the Document Merging tab. Select a document class in the Session Manager Pane. Click Document Class Options… at the bottom right of the Tasks Pane. Select the Document Merging tab. For more information on document merging, see the Document Merging help topic in the Quick Fields online help files. Discover how your organization can go paperless, manage digital content, automate day-to-day processes and more.